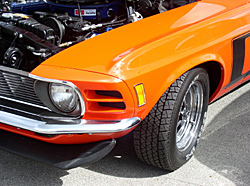 Ontario Automotive Dealer Directory. Locate used car and truck dealers, auto parts, auto repair shops, auto wreckers, used tire dealers, free car classifieds and much more. Future Auto Service & Sales - Your local Autopro Mechanical Dealer in Simcoe Ontario. Sales and Service to all makes and models of cars and light trucks. We are an accredited drive clean repair facility. We provide emissions testing, warranty repairs, and vehicle safty inspections. Financing and leasing available. Browse our inventory on-line. All vehicles are fully certified and emissions tested, We service what we sell. We have provided these links as a courtesy to our website visitors. We are not responsible for, and make no guarantees, warranties or representations, implied or otherwise, for the content or accuracy of these third-party sites listed on this page. Please exercise caution when visiting external websites.